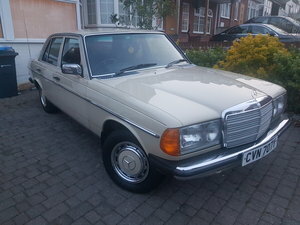 Mercedes Benz 230CE pillarless coupe, registered in 01/08/1983 White with blue velour. 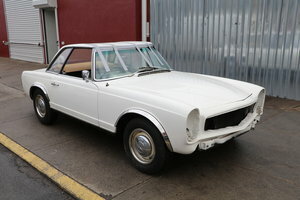 Electric windows, mirrors, electric sunroof will need replacing, working cruise control. 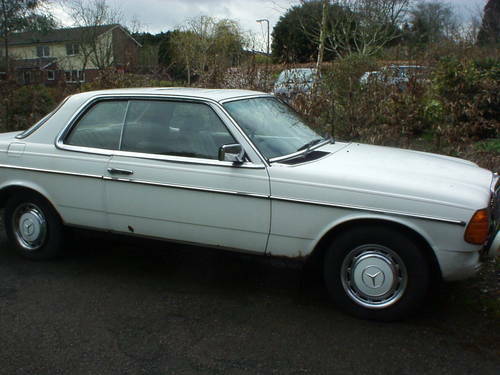 MOT after Xmass, last serviced September 2014, Â£92 par classic insurance. 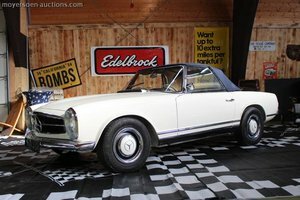 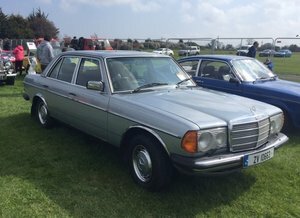 W123's seem to be appreciating rapidly. 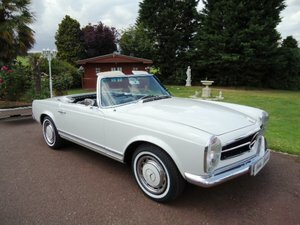 May swap for, W108/W111 fintail or similar vintage.